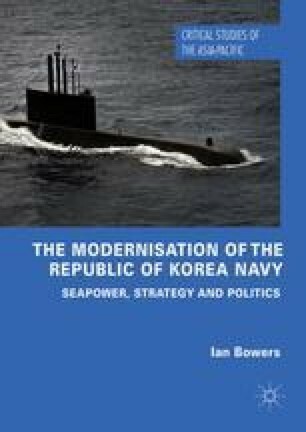 In the introduction, this book asked how and why South Korea, a historically inward-looking nation with an existential threat on its only land border, began a sustained period of blue-water naval modernisation. By taking a multifaceted approach, the book identifies the drivers and constraints of this modernisation, its operational benefits and outstanding limitations. The core argument is that Republic of Korea Navy (ROKN) modernisation has been and is determined by the confluence of external strategic rationales and changes to the nature of South Korea as a state. The result is a ROKN which is benefitting from an overall increase in capabilities that have operational and strategic utility in both the littoral waters of the Korean Peninsula and the maritime strategic arena of East Asia.